If a car company offers any paint option outside gray, black, white, silver or beige, I do not understand why you would not take them up on it. Step out of the dull humdrum of banality. Get into some tomfoolery. Check the box for yellow. Even Mercedes is doing it! Mercedes-Benz uploaded a teaser of the upcoming Mercedes-AMG CLA 35 to its Facebook page recently. 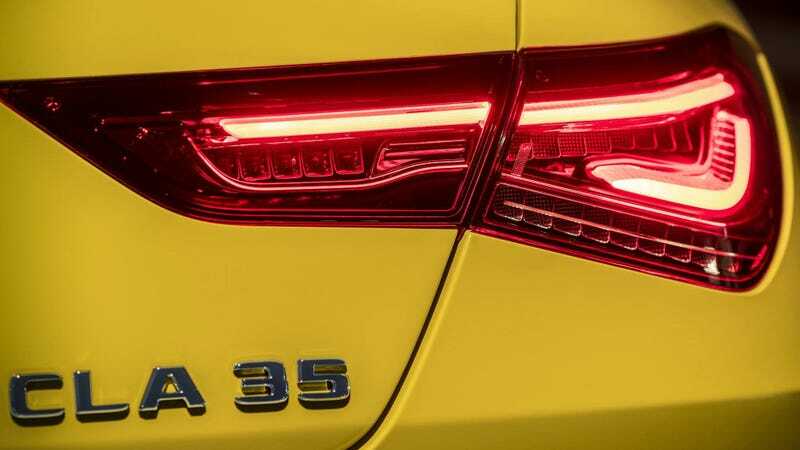 Based on the numbering, it’ll probably slot right under the existing CLA 45, again proving that Mercedes believes that every class needs at least two AMGified models. But no matter, because the car in the teaser photo is yellow. Yellow! The color of sunshine, dandelions, cheese, Pikachu, bananas, rubber ducks, scrambled eggs, certain types of sapphires and Belle’s dress. It’s a happy pop of color in the sea of lame-o shades that people usually choose for their cars. Even the new Toyota Supra comes in yellow. Now, I know what the haters are going to say. Yellow reminds them of pee that certainly indicates dehydration. Yellow is the color of a taxi; do you want people mistaking your car with a taxi? To that, I’d respond that I’d rather have my car elicit some emotions over nothing at all. We’re all dead inside anyway, so why don’t we try to forget that briefly and just paint the cars yellow? There’s nothing to lose here. Besides, there’s a financial advantage here, too. Yellow cars, as it turns out, depreciate the least. Paint everything yellow, even the roads. And let’s live out our best Oz lives.